Lauren creates publications that demonstrate the power of design to inextricably enhance content through texts and images. She deploys subtle effects across pages, using folds, foil stamping and finishes to reinforce themes and to guide the reader experience. Clients range between individual artists to internationally recognized corporations and cultural institutions. Commissions include projects for the Aga Khan Museum, the Art Gallery of Ontario, and RBC Royal Bank of Canada. Lauren’s work is recognized for its excellence through various awards, including from The Advertising and Design Club of Canada, the Alcuin Society, the Ontario Association of Art Galleries, and Applied Arts. 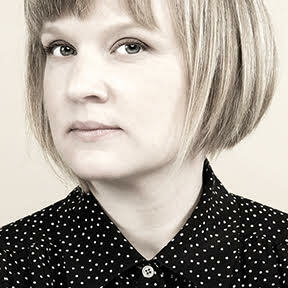 A graduate of OCAD and Parsons The New School for Design, Lauren cultivates the next generation of designers as a faculty member of the Interdisciplinary Design Strategy and Graphic Design programs at George Brown College’s School of Design.